Jeffrey Perlman, Warburg Pincus’ Managing Director. Indonesian mall developer and operator NWP Retail on Monday announced that it had received $200 million in investment from the Korean Teacher’s Credit Union (KTCU) and a fund managed by CITIC Securities, as well as from its primary backer, Warburg Pincus. The three-year-old company plans to use the fresh cash to fuel its strategy of bringing malls to the over 135 mid-range Indonesian cities that lack modern commercial centers, as New York-based Warburg Pincus makes its second major bet on Southeast Asian retail centres and its latest in a series of investments in Indonesia. The private equity investment, one of the largest of its kind in the archipelago, will give the company a leg up in “a capital constrained environment,” said Jeffrey Perlman, Warburg Pincus’ Head of Southeast Asia. The funding will be used in part to develop new assets as well as to acquire and reposition existing properties, Perlman told Mingtiandi. The company’s investment targets range from community malls of 10,000-25,000 square metres (108,00 to 270,000 square feet), to regional malls in the vicinity of 40-60,000 square meters, up to developments of 75,000 square metres or more in the country’s tier-one cities, with most of the properties targeting a mid-market demographic, the Warburg Pincus managing director said. “A typical tenant for one of our malls in a smaller city would be a department store like Matahari or a leading national supermarket chain, while in the larger malls you would have a leading global fast fashion retailer like H&M,” he added. Retail will be the centerpiece of all properties to be financed from NWP’s latest round although some of the projects will also include adjacent hotels and shop-houses. “Having a hospitality component is especially attractive in the smaller cities, in which NWP Retail malls will be the only or at least the preeminent shopping and entertainment destinations in the market,” said Perlman. 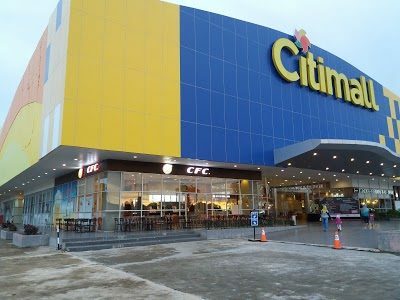 Citimall Ketapang, West Kalimantan. Borneo. NWP retail was founded in 2015 by Warburg Pincus and Indonesian developer, PT City Retail Developments Tbk, which had already established operations of 13 malls, most located in the country’s smaller cities. In three years NWP expanded eight-fold to 33 projects covering approximately 800,000 square meters of gross floor area (GFA), 14 of which are already operating. In April of last year, the company took steps to expand beyond retail, by signing a letter of intent with Indonesian hospitality firm Archipelago International, to develop 14 hotels (totaling 1800 rooms) under the favehotel, Harper and Aston brands. NWP Retail bases its 140-strong workforce in Jakarta, but most of the company’s projects are located in under-invested parts of the country, including Kalimantan, Sumatra, and East Java. While the country’s real GDP has grown an average of five percent per annum in the past five years, the areas targeted by NWP have expanded by up to 10 percent over the same period. “Indonesia is undergoing transformational period for modern retail, and NWP Retail is uniquely positioned to be a strong consolidation force in a fragmented and undersupplied market,” said Timothy Daly, President Director and CEO of NWP Retail. According to Perlman, “modern retail continues to be meaningfully undersupplied” in the country, with over 70 percent of 200 largest cities still lacking a mall. Thanks to the relative openness of the market outside of major metropoles like Jakarta and Surabaya, “NWP Retail has the opportunity to build on its position as the leading independent retail developer, owner, and operator in Indonesia,” he said. Daly spent 23 years at Simon Property Group, the world’s largest retail real estate investment trust (REIT), most recently as Head of International Development. In his close to 30 years in the industry, Daly has led the development of 30 projects in seven countries, totaling 40 million square meters, according to the company’s website. A KTCU spokesperson said that its link-up with NWP is “a rare opportunity to invest behind the continued growth of the emerging middle-class consumer” in Indonesia, which at 260 million people is the fourth most populous nation in the world. The largest economy in ASEAN, Indonesia accounts for close to 40 percent of the region’s GDP, according to the World Bank. Warburg Pincus’ involvement in NWP Retail mirrors the $400 million investment the private equity firm led starting in 2013 in Vingroup’s Vincom Retail, now the largest retail developer in Vietnam. Vincom went public in 2017, raising $709 million at a valuation of $3.4 billion — the country’s largest float at the time. “We have been to this movie before,” Perlman explained to Mingtiandi. In both Vietnam and Indonesia, the market was very fragmented and developers continue to face financial constraints, making scaling difficult for many of the local companies. At the time of Warburg Pincus’ investment in Vincom Retail, there was no major mall operator yet in the market which allowed Vincom to eventually capture over 65-70 percent of the modern retail market in Vietnam in only a few years time, he explained. Like in Vietnam there are not any independent mall operators at a national scale in Indonesia, according to Perlman. Although Lippo Group manages 23 malls across the country, many of them are occupied by the group’s own stores, which can present conflicts with independent tenants. With many retailers looking to expand by 20 or more locations in Indonesia annually, according to Warburg Pincus, there is an opportunity to offer these brands the option to lease their stores from a single operator, rather than with many local players, as well as to deal with an operator that does not compete directly through its own shops. 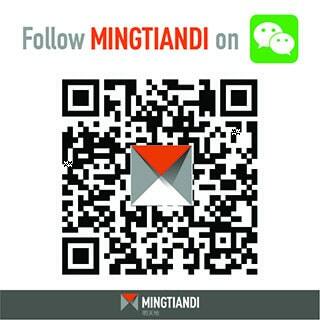 The US private equity giant has invested over $1 billion in Southeast Asia since its first investment in Vingroup. In Indonesia, it was one of the earliest backers of home-grown ride-hailing app Go-Jek in 2016. In Vietnam, the company invested $200 million last February in a partnership with state-owned builder Becamex IDC Corp to create the largest logistics and industrial real estate developer in the country. Just one month later, the firm made the largest private-equity investment in that nation’s history by pouring $370 million in Vietnam Technological and Commercial Joint Stock Bank (Techcombank).